And so here we are...two sleeps before Christmas Day. The makings of the sourdough dinner rolls are in the bread-maker; soon a batch of pastry will be made and turned into my version of Bumbleberry Pie. ...and I am well on the way to finishing a fourth. I decided I wanted to make this one a 'Rail Fence', using 2" squares and creating 5" blocks. I'm laying them out in 8 rows of 6 blocks, and then will add borders. The fabrics (a loaves-and-fishes-style miracle in my sewdio or perhaps simply evidence of an outrageous stash!) continue to be wild and improbable...leading me to give this one a title: "Off the Rails"! Yarn: Berocco Boboli Lace, Colour #4395 - "Tree Swing"
And I am madly working on a matching neck-warmer. Due to the light spin on this yarn, I threw out the idea of replicating the Trestle Neck Warmer that I made for my nephew, and am going with a simpler ribbed cowl -- "Just Try It!" 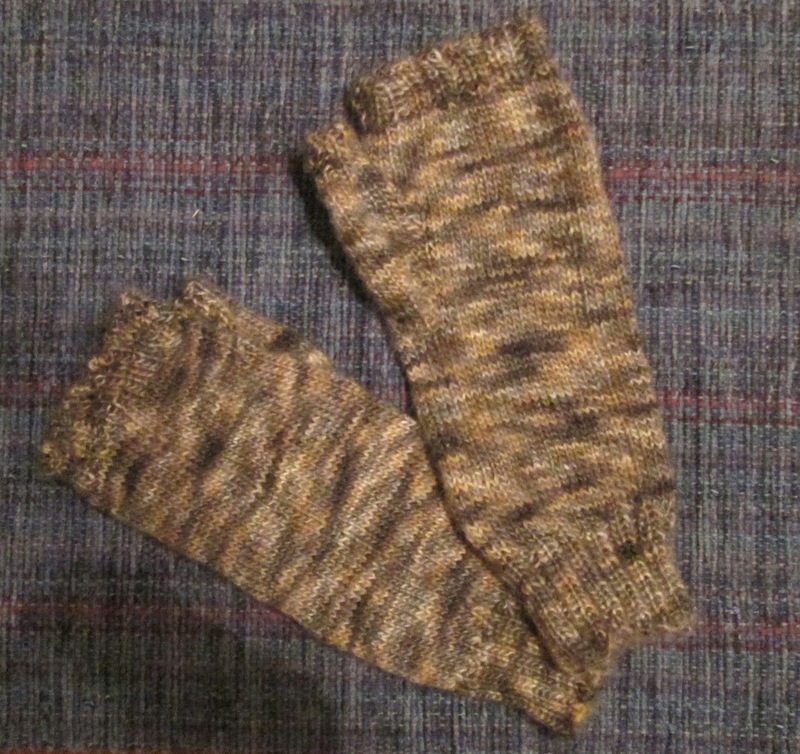 by Susan Ashcroft (also on Ravelry). 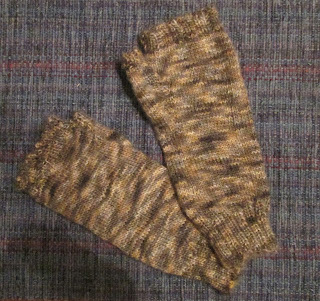 With only 4 rows done, and signs of some sort of tendonitis flaring in my left shoulder/elbow and hand (hot packs and liniment being judiciously applied, along with the occasional analgesic)...my son might just find an IOU for this under the tree instead! Speaking of trees...the wee table-topper is up, and survived a day alone with Miss Pooks while I went to work yesterday. I'm so proud of her! I don't expect to have time to post again before The Day, so, Gentle Readers, whoever and wherever you are, I send you my thanks for your faithful following of these pages and your kind comments...and I wish you and yours all the joy and peace this blessed season brings. Merry Christmas! Happiest Christmas Margaret - thank you for all of the many things you do ahead of your own needs and wishes for all of us and for the many people you both know and love to support! Many blessings as you enter the New Year! 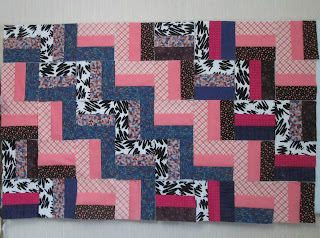 Love your quilts , nothing quite as nice as a scrappy quilt ! Sounds like your holiday plans are well under way , the pie sounds yummy . Merry Christmas to you and yours . You have had a busy week, and lots to show for it. 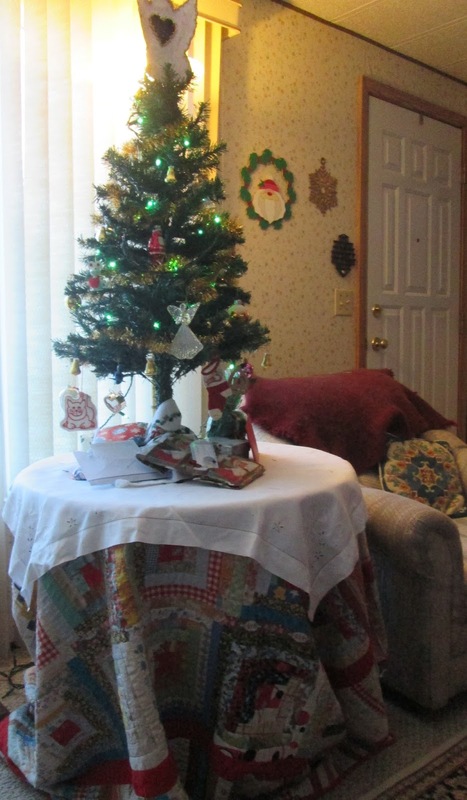 Given someone the yarn and needles, instead of the finished item is almost a Christmas tradition around here. Try not to sweat it. Just enjoy the family time. Enjoy your family, Margaret. Have a wonderful Christmas. I always enjoy your posts - another form of giving. Blessings, Margaret! I also like Gretchen and that first quilt is smashing!! Merry Christmas! Bumble berry pie looks divine. The refugee quilts are intriguing. I work with many refugees and we have a large refugee community where I live. I'll have to look at some of your older posts where I'm sure you explain where they are going. Just want to say merry Christmas and to thank you for your authentic blog. I am interested in the refugee quilts. They are quite an under taking and are beautifully done. Still being productive I see. That Bumbleberry pie is making my mouth water. I hope you had a joyous Christmas. It's wonderful you are taking the time to make quilts for the refugees. The ones who get one from you will so appreciate them. 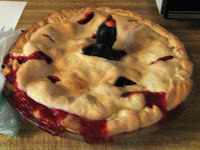 I had never heard of Bumbleberry pie before I started following your blog. Like Maggi, it makes my mouth water just thinking about it! Your refugee quilts are lovely and I love the finger-less mitts. I hope you've had a wonderful Christmas! 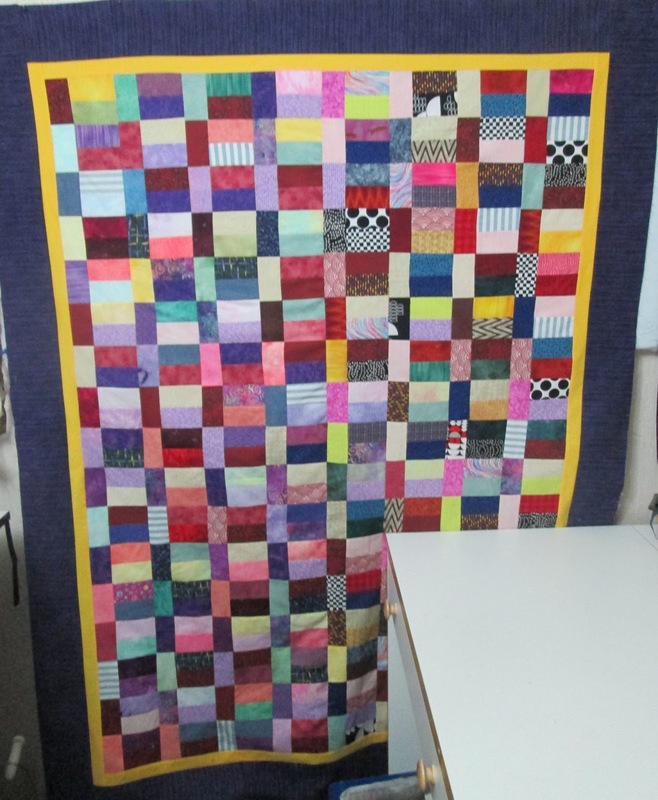 The quilts are wonderful and it's so nice they're going to a good cause. 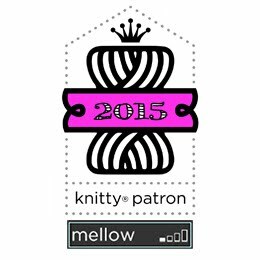 You've inspired me to set a goal to make two charity quilts, this year.